The Cleveland Indians have acquired Nick Goody from the New York Yankees in a relatively minor trade earlier this offseason so here is a short blurb about the right-hander. You know, just in case you miss him. Enjoy all! Nicholas Gunnary Goody was born on July 6, 1991 in Orlando, Florida and a member of the New York Yankees MLB team. Goody attended the University High School in Orlando where he played for the school's baseball team as a shortstop. Goody's strong arm and defense earned him a spot with the State College of Florida Manatee-Sarasota's baseball team but not as a shortstop but as the pitcher we see him as today. Goody served as the team's closer in his freshman year before making the transition to the starting pitcher. Goody did well as a starter posting a 6-2 record with a 1.29 ERA while posting 114 K's in 84 IP including a 19 strikeout game before being named the Suncoast Conference Pitcher of the Year. 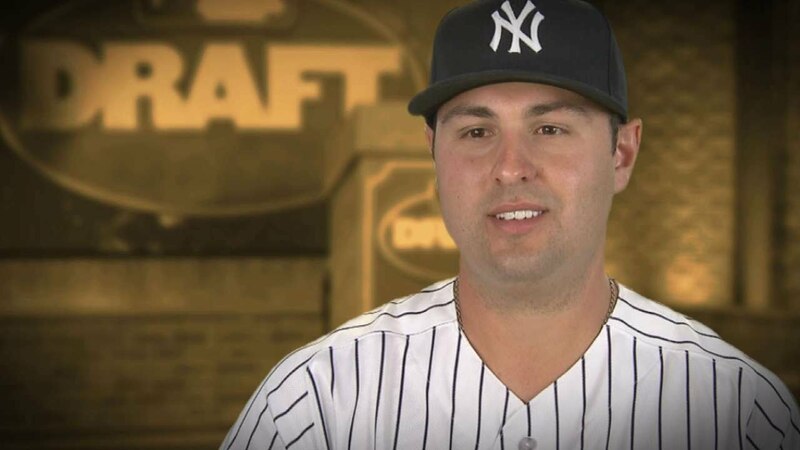 Goody's arm was attractive enough that the New York Yankees came calling in the sixth round of the 2012 MLB First Year Players Draft making the right-hander the 217th overall selection. Goody was immediately assigned to the Staten Island Yankees but by the end of his first professional season he had made stops in Charleston with the Charleston Riverdogs and Tampa with the High-A Tampa Yankees. Goody saved seven games with posting a 1.12 ERA making an immediate impression with the team. Goody was invited to spring training in 2013 but had to undergo the dreaded Tommy John surgery essentially ending his season. Goody returned to the mound on May 6, 2014 where he earned a promotion to the Double-A Trenton Thunder. Goody earned another invitation to the Yankees spring training camp in 2015 after his comeback season in the minor leagues in 2014 although he did not make the team out of camp. Goody was back in Trenton to begin the 2015 season where he was named an Easter League All-Star. Goody was not able to participate in the game though because the Yankees were more concerned with him being promoted to the Triple-A Scranton Wilkes-Barre RailRiders. Goody spent time in and out of the Yankees bullpen in 2016 before being designated for assignment earlier this winter. The team decided to trade him to the Cleveland Indians for a player to be named later or cash considerations up to $50,000. Goody will pitch out of the Indians bullpen in 2017, good luck to him.